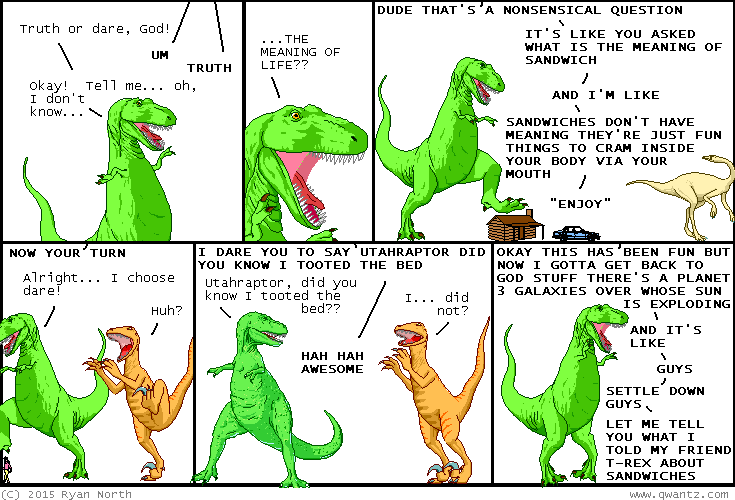 Dinosaur Comics - March 3rd, 2015 - awesome fun times! March 3rd, 2015: Thanks for reading my comics, everyone!! One year ago today: shouts out to all the artists who got excited in panel 2; i am here working everyday to get you kissed up on.